Information systems enable the invention, construction, and marketing of new products and services in every industry. Students in the Information Systems program learn how networks drive economic activity at businesses, from data analytics to app development. As companies introduce faster and more mobile technologies, they need visionaries who can integrate new services into existing businesses. In this major, you'll develop new computer science and programming talents and learn to build and deploy technologies like mobile apps. At the same time, you'll refine a core set of business and communication skills to ensure you're capable of working effectively in teams and making smart strategic recommendations to managers and executives. Students who complete the Information Systems major at Stevens are well positioned to communicate with both the front and back offices of their companies, making them an invaluable resource as companies continue to expand their digital footprints. Information systems has long been an area of institutional strength at Stevens, with a significant portion of its faculty working to advance knowledge in the ways technology is integrated into business processes to meet organizational goals. Future consultants, analysts and systems experts get hands-on instruction from faculty who understand the value in effectively assessing a company's IT needs, improving operations through new technologies and ensuring front-line employees have the best tools to do their jobs effectively. 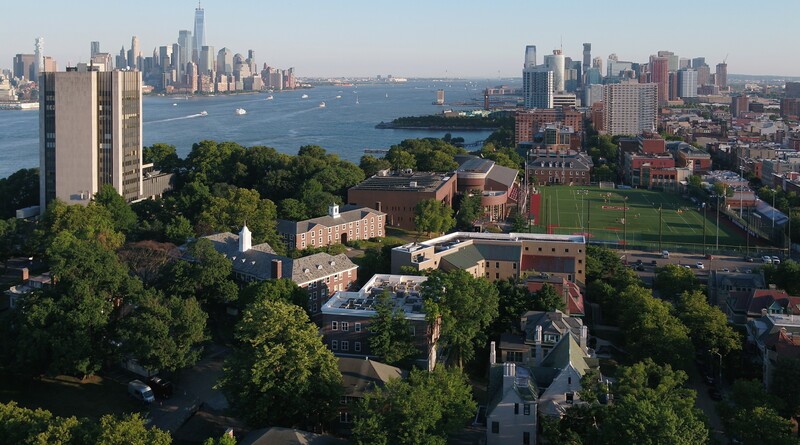 The analytical emphasis of business classes at Stevens adds an extra degree of relevance to this major, preparing students to adopt an evidence-based perspective in problem solving. You grew up surrounded by technology — so did the School of Business. Technology is at the heart of what we do, whether it's research into fake online reviews or crowd wisdom, or class projects in app development or social network analytics. Stevens will give you new perspectives on technology as you prepare for a career in a fast-changing business world. New York City employers covet Stevens business students for their ability to apply technology and analytics in solving complex business problems. State-of-the-art data analysis and visualization labs immerse Stevens students in the game-changing technologies they'll use on internships and on the job. New York City's reputation as a high-tech hub continues to grow. Stevens' location puts the most exciting career opportunities within easy reach. At Stevens, projects go beyond the classroom as students create tech-driven solutions for organizations that create tangible impact. Frequent project work and presentations ensure students are comfortable communicating data-supported strategies to large audiences. "Stevens gave me the opportunity to study in seven countries in less than a year. Seeing how other cultures do business and study information systems makes me more confident about my own future."